Groundwater Dependent Ecosystems (GDEs) are found in almost all groundwater basins in California. This spatial database maps the location of seeps and springs, wetlands, and vegetation that are indicators of GDEs. 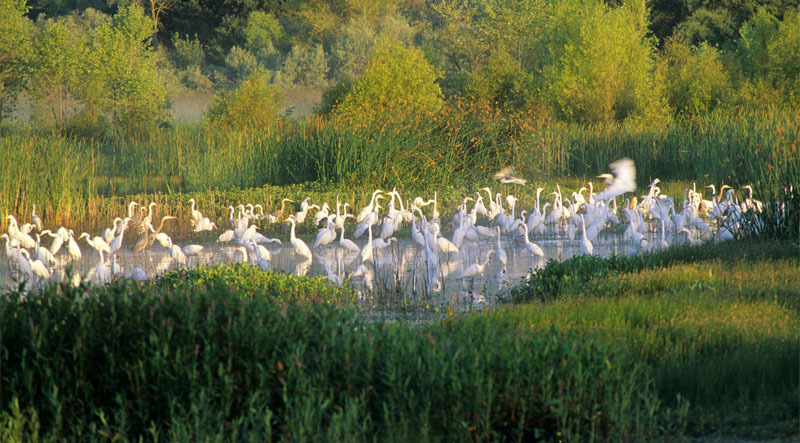 The Nature Conservancy partnered with the California Department of Water Resources and the Department of Fish and Wildlife to compile this information. You may view or download the data on vegetative indicators of GDEs through an online mapping tool. The Sustainable Groundwater Management Act (SGMA) requires that GDEs be identified and considered in groundwater sustainability plans (GSPs). Modeled after DWR’s Guidance Documents, Groundwater Dependent Ecosystems under SGMA: Guidance for Preparing Groundwater Sustainability Plans provides a process for local agencies to identify and consider GDEs as a beneficial use and user of groundwater. 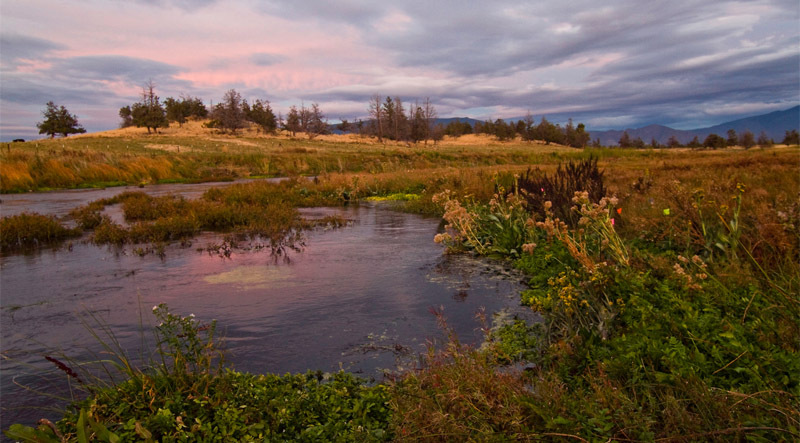 This guidance was developed by The Nature Conservancy using best available science and expert review from local water agencies, state agencies, academics, technical consultants, and NGOs. It provides a step-by-step methodology as part of the overall planning process established by SGMA. Groundwater dependent vegetation includes riparian vegetation, wetlands, and purely terrestrial ecosystems like valley oak woodlands. The vegetation relies on the availability of groundwater within the rooting depth of the plants. Water uptake can be from within the saturated zone as well as the capillary fringe, which can extend inches to feet above the water table for sandy to more clayey soils, respectively. Plant rooting depth information can provide a useful insight on what groundwater levels may be needed to sustain GDEs. 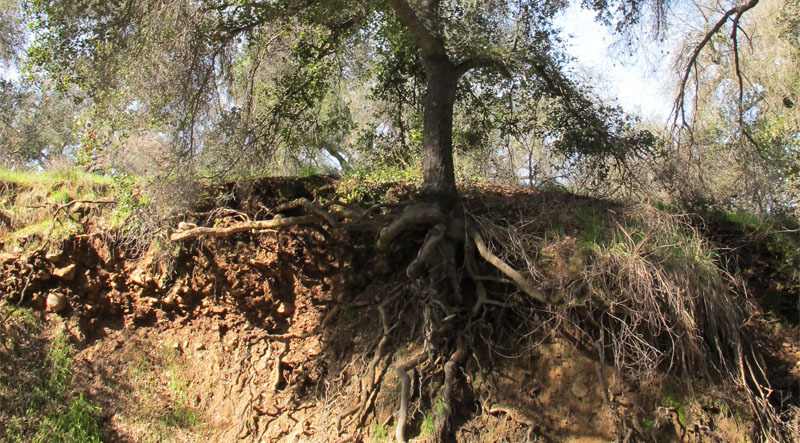 This species-specific rooting depth database of California groundwater-dependent plants provides a reference point for understanding whether GDEs are hydrologically connected to groundwater. SGMA requires the inclusion of projects that will achieve the sustainability goal of the basin. Removal of the invasive, non-native plant Arundo donax (Arundo) along riparian corridors is a potential water savings strategy providing co-benefits for groundwater sustainability as well as native ecosystem restoration. 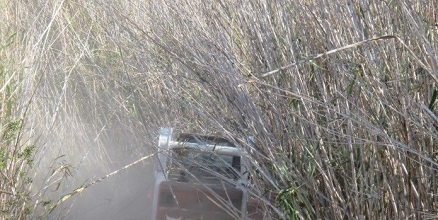 Arundo is a fast growing, densely vegetated reed that has purportedly high-water consumption (i.e., transpiration). The Nature Conservancy provides a brief literature review of annual evapotranspiration (ET) rates for Arundo.